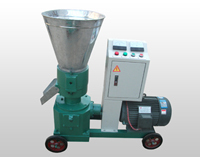 Wood pellet mills come in a variety of shapes in sizes, but despite of appearances, the essence of the machinery is the die which comes in two types: flat dies and ring dies. 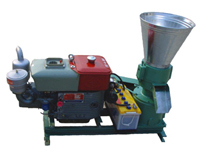 While mills with ring dies are most commonly used for commercial production, flat die mills are cheaper, hence more prevalent in residential and farm use. 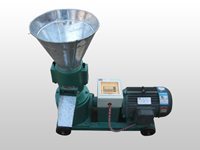 The flat die pellet press was first invented in the early 20th century to produce animal feed. It was only after technological advances in the die and rollers that the functionality of these machines was extended to process biomass materials such as sawdust, straw, corn stalks and grass. Except for die type, the next most important concern is the mill's power source. 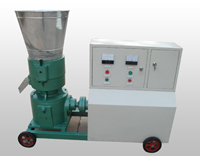 Both electric pellet mills and diesel pellet mills are available on the market. NOTE: All of our wood pellet mills are CE and ISO9001 certified.